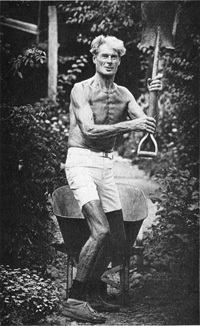 E.F. Schumacher, author of Small is Beautiful, called Alan Chadwick "the greatest horticulturist of the 20th century." Using the Biodynamic French Intensive Method, which he developed, Alan led the movement that pioneered organic gardening and farming in North America. But Alan Chadwick was far more than an accomplished horticulturist. He taught, prodded, cajoled, and berated his many students until they became competent, authentic, and creative human beings; or at least that was his goal for them, as he would settle for nothing less. As Allen Kalpin, a long-time Chadwick apprentice, once said, "He was a gardener of souls." Garden (1971) is Michael Stusser's 16mm film of Alan Chadwick's garden at the University of California. Words can't begin to describe the magic of the place, its profusion of colors, scents, sounds, healthy vegetables, and enthusiastic gardeners. But this film successfully evokes much of the garden's charm and is really the only comprehensive visual record of that enchanted time. Our profuse gratitude to Michael for his permission to reproduce the film here. 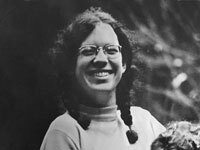 Louise Pease was involved at the UCSC Student Garden Project from 1969 to 1972, where she worked with Alan Chadwick during those times that she could spare away from her University studies. 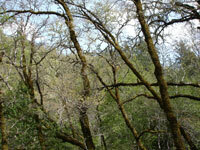 She also worked on the new farm project at UCSC in 1971-72, at the very beginning of its development. In later years, Louise became a teacher in the Waldorf Education movement that is based on the indications of Rudolf Steiner. 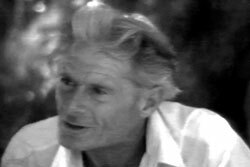 In the year 1971, Alan was invited to speak on the subject of Biodynamic Agriculture at the annual meeting of the Anthroposophical Society in Los Angeles, that was held at Highland Hall, a Waldorf School near Los Angeles. Alan sometimes spoke to his apprentices about his early experiences with Steiner, and quite a few former Chadwick apprentices later went on to involve themselves in this worthy effort for educational renewal. The September, 1976, edition of the New Age Journal carried an article on Alan Chadwick and his garden at Covelo, California. The text by Laughingbird and the photos by Sandy Solmon are both masterful in their ability to capture something of the spirit of the place. This article inspired more than one future apprentice to make the trek out to California and attempt to join the community of gardeners working with Alan there. Laughingbird also wrote two articles in the Berkeley Barb during that same year, here and here. 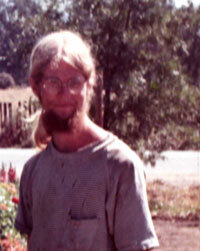 Jim Nelson was involved in the Student Garden Project at UC Santa Cruz at a very early point in its development. He had been a student, but soon dropped his academic program in order to devote all his available time to working with Alan Chadwick. For many of those early years, Jim was Alan's "right-hand-man" and the person who frequently interfaced between Chadwick and the many volunteer workers. After his stint at the UCSC garden, Jim and his then wife, Beth Benjamin, went on to found the Camp Joy gardens in Boulder Creek, California. In that project they were assisted by a hearty group of confederates that included Michael Stusser. On October 11, 2017, Jim spoke with Greg Haynes at Camp Joy during a two-part video interview. This page includes a fascinating excerpt from an interview with the UCSC Oral History Project where Jim describes how it was that Alan arrived in Santa Cruz and was persuaded to begin work on the gardens there. After three years of unremitting labor without a break, Alan Chadwick was exhausted from the initial phases of building up the student garden at UCSC. Clearly he needed a break to rest and rejuvenate himself before plunging back into the ecological project that he had begun in 1967. 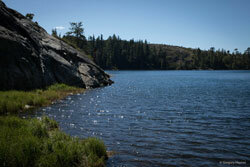 Somebody suggested a camping trip to Blue Lake, and that is where he went. In late September, 2017, we made a pilgrimage up to Blue Lake to see what it must have been like during that fateful camping trip that Alan and one stalwart apprentice took in the Sierra Nevada Mountains during the summer of 1970. Mardi Sicular was a student at UCSC who worked intensively with Alan Chadwick during the years 1969 and 1970. She was able to connect with Alan, not only through her work in the garden, but also because they shared an interest in music. Mardi would often play her wooden alto recorder among the flowers, which Alan greatly enjoyed. She also played the old piano that was in the Chalet, baked bread made from hand-ground wheat, and participated in many of the elegant entertainments that Chadwick hosted in the garden. This is a heartfelt and very articulate account of the experience that she had as a woman working with Alan Chadwick during one of the most halcyon periods of the Santa Cruz project. On October 7, 2017, she recorded this video interview with Greg Haynes in Berkeley, California. Tom Benthin, having met Chadwick at UCSC in 1971, became a full-time apprentice at the Covelo project in the following year. On October 1, 2017, he gave an interview with Greg Haynes where he talks in detail about his experiences with Alan. He also generously shared a number of photos from Covelo that are included on this page. 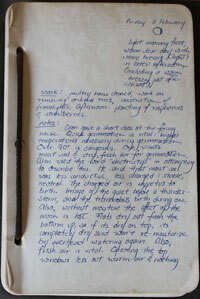 A link to the Garden Journal that he kept during his time at Covelo can be found below. "The Magic Gardeners" was the title of an article by Jim Wood that appeared on the front page of the San Francisco Examiner on March 14, 1976. One photo caption within that article reads, "Gardening is almost a religion." While it is highly unlikely that Alan ever said that--more likely it merely represents the author's interpretation of the strong intentionality that Chadwick and his apprentices manifested--we include here a commentary on what Alan meant when he sometimes spoke about the religio-philosophical nature of the "Project." An overview of the recent celebration at the University of California at Santa Cruz marking the 50-Year Anniversary of the founding of the Student Garden Project by Alan Chadwick in 1967. This article offers a summary of the day by day events along with photographs by Jodi Frediani and Martha Brown. 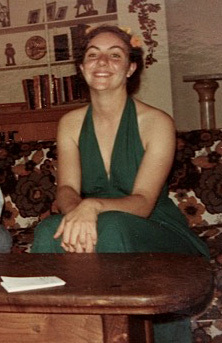 Jodi Greenberg Frediani transferred to UCSC from Davis in the year 1966. She was present when Chadwick arrived in Santa Cruz in 1967 and heard his initial lecture about plans for a garden on campus. By 1968 Jodi had fallen under the spell of the Pied Piper and dropped out of college to work full-time in the garden. Alan affectionately called her "Blackie" for her curly crow-black tresses that were expansive, to say the least. Her experience working with Chadwick exerted a formative influence on the remainder of her life. On July 27, 2017, Jodi gave an interview with Greg Haynes and Peter Jorris at her home in Bonny Doon. In the Spring of 1974, Tom Benthin was an apprentice to Alan Chadwick at Covelo, California. The journal that he kept between February 8th and June 1st of that year chronicles much of the propagation and planting that took place at that crucial time. The journal also spans the difficult episode when, due to heavy flooding, the garden had to be moved from its original location near the center of Covelo, to a more remote site at the north end of the valley. Tom Benthin's Covelo Garden Journal is therefore an important record of that difficult first year in Round Valley, California. Moreover, Tom's detailed record of the technical methods used by Chadwick are an invaluable resource, as specific propagation procedures are described for individual plants. 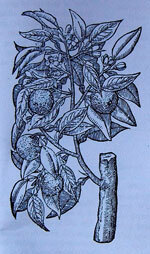 Planting methods for fruit trees and soft fruits are also recorded in great detail. This collection is a gold mine for gardeners who wish to employ the techniques that Chadwick pioneered. Somebody please Help Us Identify This Plant. The first to do so will receive an honorable mention here, as well as our sincere thanks. The seed pod looks somewhat familiar, but the mystery remains. Can you help? Update 8/17/2017: Plant Identified as Abutilon theophrasti. More details here. One former Chadwick apprentice, Peter Jorris, recently contributed an account of his experience at the celebration at UCSC marking the 50th anniversary of the founding of the Alan Chadwick Garden. On Thursday, July 27, 2017 (coinciding with the anniversary of Alan Chadwick's birthday) a reunion was held for those who had worked with Chadwick in Santa Cruz. Alan Chadwick arrived at Santa Cruz on March 1, 1967. This year marks the Fiftieth Anniversary of that date, and will be marked by a celebration planned for July 27-30 at the Santa Cruz campus of the University of California. Apparently some of the original apprentices who worked with Chadwick are planning to attend, so things could get interesting. Lee Jacobs grew up in Detroit, Michigan, and worked at the Ford Motor Company plant, as had his father before him. It was good money back in the day, but something inside prompted Lee to chuck it all and begin wandering the earth in search of a life more imbued with meaning. Somehow he found himself in Alan Chadwick's Garden Project at the University of California, and that seemed to fit the bill precisely. 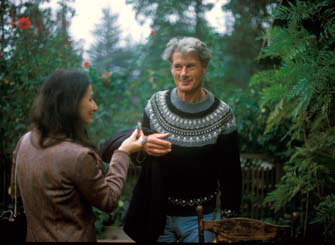 Like many others before and after him, Lee resonated to the natural rhythms of the garden, the hard physical work, the beauty of the flowers and herbs, and to the wisdom embodied in Alan Chadwick. He recently shared a brief essay with us that recollects that fateful time. A new project here at Alan-Chadwick.org is to offer, from time to time, a Featured Photo. This will ordinarily depict wild or cultivated plants and animals found in the garden, but anything can be fair game. If you would like to nominate a photo for inclusion, send it to us at the email address indicated in the "Contact Us" page. Jay Thorwaldson recently wrote a Tribute to Betty Peck, in which he reflects back on his experience in her third grade class at Los Gatos Elementary School, nearly seventy years ago. 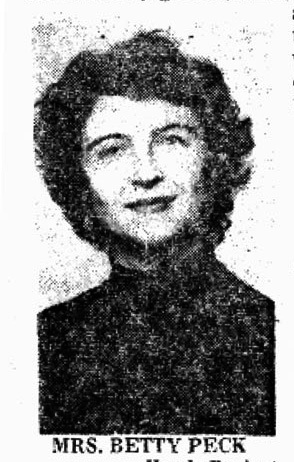 We reprint that article here because Betty was the prime mover behind the establishment of the Saratoga Community Garden, which began in the fall of 1972. She was one of the first educators to recognize the potential of Alan Chadwick's approach to the natural world as it could be applied in a school setting. The Saratoga Community Garden was envisioned as a place where school children could visit on field trips in order to enrich the ordinary classroom-based learning program. Patience has run out on hopes that the so-called "Alan Chadwick Archive Project" will ever voluntarily deliver on its promises to freely share the audio recordings of Chadwick's lectures with the world. For over thirty years, Craig Siska and Steve Crimi have obstructed Alan Chadwick's wishes that his lectures be easily accessible to everyone interested. We here offer a brief description of the unfortunate situation that currently exists, along with the text of a letter that we recently sent to Siska and Crimi in the hopes of resolving the problem... to which they have, so far, not responded. UPDATE ON THIS ITEM: GOOD NEWS! We are finally starting to see some movement here as of July, 2017. An initial posting of some of the archival material has occured, and we will be reviewing this progress soon. 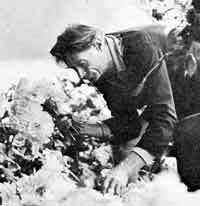 Alan Chadwick would not sell the flowers from his gardens, nor would he collect tuition from the apprentices who wanted to study with him. Everything that he did was a free gift to the world. When he was asked for permission to tape-record his lectures, he typically would agree, on the condition that the tapes were to be shared with whoever wanted one―not sold, but merely for the price of the blank tape needed to make the copy. Paul Lee has called this philosophical approach, Alan Chadwick's "Economy of Gift." David Worden represents a strong voice in the rising tide of indignation against Craig Siska and Steve Crimi for their hoarding of the Chadwick audio tapes and their commercialization of Alan Chadwick's legacy. David's Open Letter to Craig Siska explains the issues, as he sees them, and stands as a warning to anyone who might be tempted to entrust materials to the so-called "Alan Chadwick Archive Project." 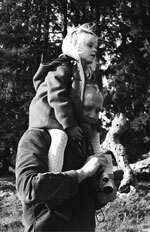 Beth Benjamin was one of the earliest students at UCSC to devote herself to the fulfillment of Alan Chadwick's vision there. She was also one of the first to take the knowledge and inspiration that she had received from Chadwick and apply it to the creation of other, kindred, garden projects that would expand the influence that Alan had begun. As one of the founders of Camp Joy in Boulder Creek, California, Beth has contributed significantly to what has now become a world-wide movement for agriculture renewal. She recently gave us permission to reprint an article that she wrote about her early experiences at Santa Cruz. An introduction to what should have become a practical archive of Alan Chadwick's lectures and other documents after his death. 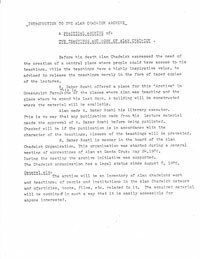 This is a page from the inaugural meeting of the Alan Chadwick Society in 1980. Unfortunately, Chadwick's wishes have not been respected. For the last thirty-five years since his death, many of his recorded lectures have been kept inaccessible from the public by Craig Siska and Steve Crimi, under the guise of the Alan Chadwick Archive. Only a very few items have seen the light of day, and these are being sold for money, quite contrary to the spirit of Chadwick's philosophy of life. 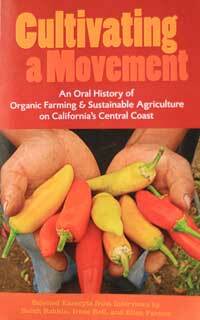 A review of the book, Cultivating a Movement, which is a compilation of oral history interviews that have long been available on the UCSC library website. These chronicle the development of the organic food movement from its inception at the University of California at Santa Cruz Student Garden Project, led by Alan Chadwick in 1967. 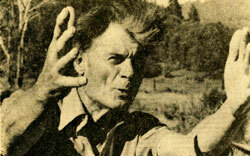 In 1974 and 1975, Alan Chadwick delivered lectures at the Urban Gardening Symposium, an event jointly sponsored by San Jose City College and West Valley College. A rare video-tape of these lectures has recently come to light, and is presented here for the first time. Titles for the lectures are: "Everything is Governed by an Invisible Law," and "The Vision of Biodynamics." Both video and text are included for these lectures. A Video Interview with Alan Chadwick conducted at Covelo, California, not long before that project ended. Alan is in fine form, expressing his views on horticulture and philosophy, including a description of what he considered to be the essence of the garden project that he founded and lead. Our thanks go out to Steve Sweet at WildfireWeb.com who has graciously assisted with an important, behind-the-scenes upgrade to our website here at Alan-Chadwick.org. We are now completely "mobile friendly," which means that our web pages can be easily accessed from mobile phones, tablets, and other similar devices. Robert Howard worked in the Santa Cruz garden during the summer of 1971. 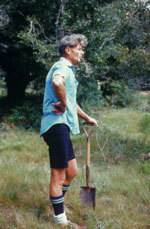 In 1986 he published a book on basic gardening techniques that included an excellent Biography of Alan Chadwick. Despite the passage of time, this remains the standard biographical reference on Chadwick's life. Robert recently granted us permission to reprint that chapter from What Makes the Crops Rejoice. Buckwheat: a Summer Cover Crop is the title of this segment in the video series of the techniques employed by Alan Chadwick. Topics include: a quick cultivation method without digging, removing the cover soil, sowing the seed, covering the seed with soil, watering, plant spacing, and using the crop. 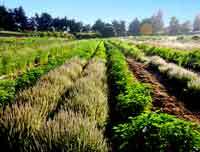 The history of the Sustainable Agriculture program at UCSC, where some of Alan Chadwick's original impulses are still being carried out. Now called the Center for Agroecology & Sustainable Food Systems, the program continues to exert a powerful force for change in agricultural practice. UC Santa Cruz is often referred to as "the Harvard of organic farming" for its leadership in the organic movement since 1967. 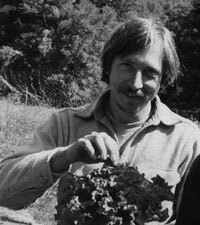 One of the first environmental organizations to recognize the value of Alan Chadwick's efforts at UCSC was the group, California Tomorrow. 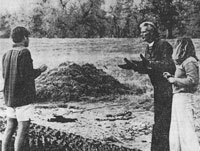 In 1970, they featured the University Student Garden Project in their print journal, Cry California. This happens to be the publication that first brought Chadwick to the attention of Richard Wilson in Covelo, California, who was a prominent environmentalist in his own right. We here reprint that article for the purposes of preserving an important historical milestone in Alan's work. 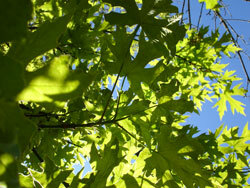 A video segment on Building a compost pile according to the methods employed by Alan Chadwick. Topics include: preparing the location, how to stratify the materials into layers, what to include and what to exclude, moisture requirements, and using the compost when it is ready. 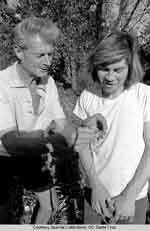 In 1975, E. F. Schumacher, the famous author of the book, "Small is Beautiful," paid a visit to Chadwick's garden project in Covelo, California. He was highly impressed with the results that Alan had achieved, including the increased yields per acre, the minimal energy inputs compared with mechanized commercial farming, and the obvious positive effects of human contact with the soil and plants. In the following year, Schumacher cited this project in an address he made to the Soil Association of Great Britain, describing it in exemplary terms. Here we present the complete transcript of that lecture, along with a brief biographical sketch of Schumacher himself. Another segment in the new video series on the basic techniques of the Biodynamic French Intensive Method as developed by Alan Chadwick. This video demonstrates the methods used to Sow cover crops that will help to improve garden soil. An illuminating perspective on Alan Chadwick's use of the term Revolutionibus, which toward the end of his life came to represent various concepts including the unified totality of nature, the cosmic rhythms of tension and relaxation, the cycles of the planets, and much more. An elusive set of concepts that the author, Rodney Blackhirst, PhD, explains in a lively and lucid style. Highly recommended. The first in a new video series on the basic techniques of the Biodynamic French Intensive Method as developed by Alan Chadwick. This video demonstrates the Cultivation methods used to build raised garden beds, including: double digging, tilthing, shaping the beds, and a brief discussion of the intensive plant spacing techniques that Chadwick taught. The second in the series of videos on the basic techniques of the Biodynamic French Intensive Method as developed by Alan Chadwick. This video illustrates some of the Fertilization techniques that Alan employed in his gardens. Scenes from a Pilgrimage to Green Gulch Farm in October of 2014, including views of Muir Beach, located at the lower end of Green Gulch Valley. The sad state of affairs that sacrificed the original Alan Chadwick garden for a couple of shoddy living spaces. 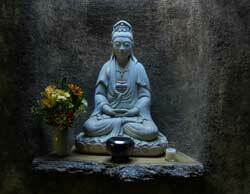 The well-kept garden, farm, and buildings erected by the San Francisco Zen Center near the Marin County coastline. How the people of Green Gulch are maintaining Alan Chadwick's tomb in a careful manner. Alan Chadwick used an idiosyncratic vocabulary in many of his lectures that needs some explanation in order to clearly understand his meaning. He also employed a variety of rhetorical devices to engage the attention of his students, and these can sometimes be startling or even baffling to those who are new to his special style of delivery. Consequently, we offer this Introduction to Alan Chadwick's Lectures and a Glossary of Terms to aid in the process of listening to the presentations that he made to his students. Why Did Alan Chadwick Leave Santa Cruz? After all the accolades and notoriety that Chadwick had received as a result of his fabulous horticultural creation at the University of California at Santa Cruz, why would he suddenly have walked away from it all? A major expansion was underfoot to further develop the garden into a fifteen-acre farm site that the university had recently approved. We here offer an investigation into the behind-the-scenes dynamics that saw Chadwick vilified and unfairly ousted from the position that he had held so successfully from 1967 to 1972. Alan Chadwick leveled the charge of "piracy" at modern commercial agriculture. What did he mean by that term, and how did his own methods demonstrate a different approach? In this commentary on Alan's first lecture to a group of new apprentices at the Virginia garden project, we offer a few answers to these questions. In the year 1971, Alan Chadwick made the decision to divide his salary at the University of California at Santa Cruz with four senior apprentices who would then be able to assist him in the maintenance of the now fully-cultivated four-acre garden. Gregory Hudson was one of those four lieutenants who then helped to train newly arriving apprentices and take responsibility for special projects. Greg also worked at the garden project in Saratoga for a time, and then was one of the first group who went with Chadwick up to Round Valley to begin the Covelo garden there in 1973. In March of 2014, Gregory Hudson spoke to us about his memories of Alan Chadwick during those years. After the Virginia garden project dissolved and Alan Chadwick had become terminally ill, he returned to Green Gulch where he eventually died six months later. Elizabeth Sawyer was a Zen student there who helped look after Alan on one occasion when Acacia Downs was away. In a poignent moment of openness and vulnerability, largely brought about through Elizabeth's presence of mind, Alan confides a matter that had weighed heavily on him. In this video interview with Greg Haynes in Occidental, California, she describes that bedside moment with Alan at Green Gulch in 1980. In 1979, Alan Chadwick delivered a series of Lectures to a newly arrived crop of apprentices who had come to work with him in Virginia at what became his last garden project. These talks are important because, unlike his lectures in Santa Cruz and Saratoga, they were directed toward his active horticultural apprentices rather than to the general public. Despite Alan's advancing illness he is generally in good form and good humor. One could say that these talks sum up a lifetime of horticultural experience, delivered in a form that was refined over many years of teaching. They are funny, witty, profound, poetic, informative, and occasionally transcendent. A beautiful resource. Nancy Lingemann was not only an early student-apprentice of Alan's at Santa Cruz, but she also became a life-long friend. 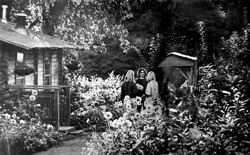 The training that she received at the Student Garden Project led her to the activity that ultimately became her life's work: In the late 1960's she and two partners started a business growing flowers in the Alan Chadwick manner that soon provided them with a joyful and artistic livelihood. Nancy tells of her encounter with Chadwick just after that tragic episode when he was unjustly expelled from UCSC and how that event affected him emotionally. Later, when Alan became terminally ill and was living at Green Gulch, Nancy sent down a bouquet of her best flowers every week, which Alan treasured. In this five-part video interview, Nancy talks to Greg Haynes about the profound influence that Alan Chadwick has had on her life. Alan Chadwick recites Friar Lawrence's soliloquy from Shakespeare's Romeo and Juliet. This audio recording is from a lecture that Alan gave at New Market, Virginia, in 1979 to a group of new apprentices. Despite the marginal audio quality of the recording, Chadwick's theatrical delivery comes through loud and clear. He could recite this passage from memory so his apprentices would sometimes use it as an exercise in the elocution classes that Alan would conduct from time to time at Covelo and Virginia. Many thanks to Eric Thiermann for permission to post this beautiful photo of Alan that he took in the year 1967, just before Chadwick actually got started working on the garden project in Santa Cruz. See here for a larger version of this photograph. Gregg Novotny played a key role in the transition of Alan Chadwick's garden project from Covelo, California, to the Shenandoah Valley in Virginia. It was he who drove a truck full of perennial plants that Alan had selected from the Round Valley garden and transplanted them to the garden at New Market. He served as head gardener under Chadwick both in Covelo and later in Virginia, so he got to know Alan in a way that many others did not. On March 1, 2014, Gregg spoke with us at the "Mount Plesant Farm and Garden" where he currently operates an impressive and rapidly expanding CSA-based farming operation near Auburn, California. Despite the initial enthusiasm with which Alan Chadwick began the horticultural project at Green Gulch, the project turned out to be a dismal failure. Numerous problems, taken together, proved insurmountable, even in the face of a fierce determination to succeed. 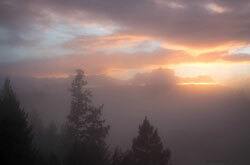 The Challenges Faced by Alan Chadwick at Green Gulch are the subject of this detailed description of the adverse social dynamics that prevailed at the San Francisco Zen Center at that time. The year 1972 was a low point in Alan Chadwick's biography. A number of his enemies, working together in concert, managed to oust him from his position as director of the Student Garden and Farm Project on the campus of the University of California at Santa Cruz. Where, then, would he go to continue his mission to fight for the ecological form of agriculture that he had publicly advocated over the course of the last five years? It happened that the San Francisco Zen Center was just then in the process of buying an 85 acre farm on the Marin County coastline and needed someone to direct the development of the organic gardens there. 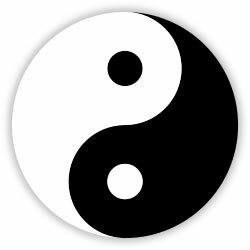 Alan had met Richard Baker, the abbot of Zen Center, a few years earlier at Tassajara, where Paul Lee had taken Alan for a weekend respite. Here we provide a description of how it was that Richard and Paul had become acquainted, and how that friendship led to Alan Chadwick's involvement at Green Gulch Farm. Disclaimer: The views expressed within this website are the personal opinions of the individual contributors only, even if, from time to time, those opinions take the form of factual representations.